It’s been a hot second since we have done one of these weekly roundup blog posts. Something about Thanksgiving, Black Friday, Cyber Monday, mashed potatoes, mashed potatoes and more mashed potatoes. It’s been a crazy few days around this joint but the good news is, I have still been getting dressed [a feat even I am proud of!] Between traveling to Utah, Alabama and venturing off to our families for Thanksgiving, a lot of the outfits below were worn for a purpose [ie: traveling, stuffing my face, etc]. Because we have a lot of outfits to get through..BONUS, much of which is now on sale, we will get this party started! Before we dive in, let’s get the logistics out of the way to make this process easier on you – for sizing reference, I am 5’4, 125 lbs on a good day, typically a 2 in tops/dresses and 26 in jeans/pants with a preferred inseam of 26-28 inches. Bra size is 30DDD [I get it from my momma]. Hopefully, this helps when determining what size you’d need. Also, feel free to follow along here for daily outfits and check out this Pinterest board where you can also get some ideas! Which reminds me, you can pin any of these looks below to save for future reference! Alright, fellow “I like to get dressed” friends, let’s begin! Previous Post: « Fab & Festive // 6 Holiday Party Dresses! I love the sort of posts that contain more than one outfit – it is so nice to get a real sense of what someones style is & I loved reading this! Especially love the necklace from your fourth look. 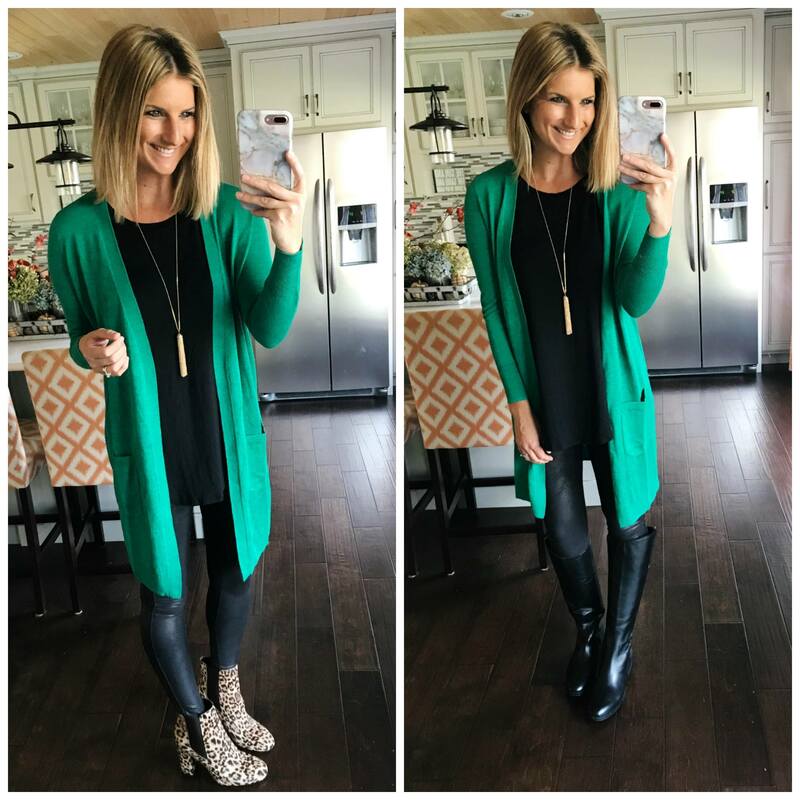 Do you wear the Halogen cardigan in petite or regular size? What color are the Felicia Knee High Boot • Børn ? Fab & Festive // 6 Holiday Party Dresses!